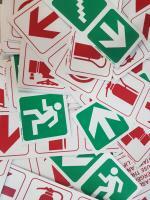 At Ilanga Signs, we offer top-quality fire safety signs, fire and directional signs, and fire signage installation in Johannesburg. Avail exceptional level of service and friendly co-operation and help from our ever-willing staff. Look no further. Samuel Jose updated profile photo.